Bolded are some insightful comparisons. 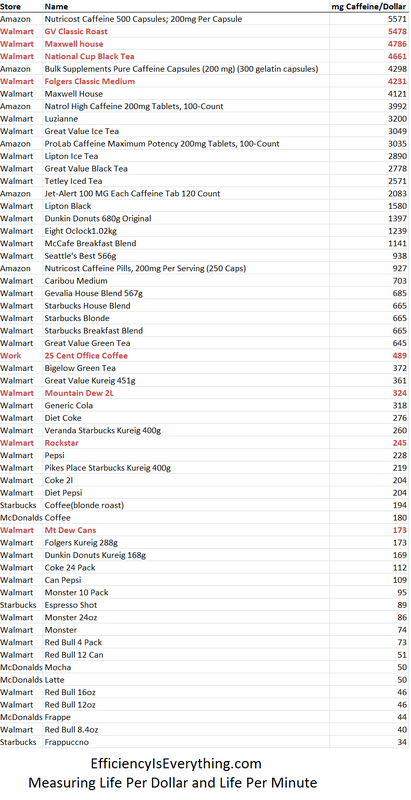 Take note of how similar products have similar amounts of Caffeine Per Dollar. McDonalds and Starbucks were comparable to each other, but much more expensive than their home brew counterparts. Diet Coke has more caffeine than regular Coke. Making your own Starbucks at home saves 3x. Caffeine pills can be comparable to drip coffee , or sometimes 5x more expensive. >Set timer for 40 minutes, enjoy life to the fullest- aka game. Bonus points if you ran or napped recently. Worked best for Organic Chem, I used to dream in compounds. There are two items I didnt list above, but collected data for. The problem with pure caffeine is that a scoop of it will kill you. That teaspoon you use to scoop sugar with could kill a few people. Not easy to use. Ever since BOFAD(Bag of Flour A Day) became a meme on fitness message boards, I’m a bit more conservative on what I put in an infographic. I’ll take my delicious house coffee. 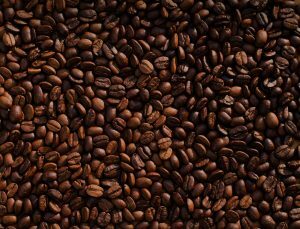 Black or lots of cream lots of sugar – I love coffee.